In a model of a 1.6 liter engine cylinder, liquid fuel (shown in red and orange) is converted to fuel vapor under high temperatures during ignition. Image courtesy of Ronald Grover. Running more detailed chemistry models on GPUs, researchers improve predictions for nitrogen oxides. Most car owners in the United States do not think twice about passing over the diesel pump at the gas station. Instead, diesel fuel mostly powers our shipping trucks, boats, buses, and generators—and that is because diesel engines are about 10 percent more fuel-efficient than gasoline, saving companies money transporting large deliveries. Grover and GM colleagues Jian Gao, Venkatesh Gopalakrishnan, and Ramachandra Diwakar are using the Titan supercomputer at the Oak Ridge Leadership Computing Facility (OLCF), a US Department of Energy (DOE) Office of Science User Facility at DOE’s Oak Ridge National Laboratory (ORNL), to improve combustion models for diesel passenger car engines with an ultimate goal of accelerating innovative engine designs while meeting strict emissions standards. A multinational corporation that delivered 10 million vehicles to market last year, GM runs its research side of the house, Global R&D Laboratories, to develop new technologies for engines and powertrains. “We work from a clean sheet of paper, asking ‘What if?’” Grover said. From there, ideas move up to advanced engineering, then to product organization where technology is vetted before it goes into the production pipeline. For every engine design, GM must balance cost and performance for customers while working within the constraints of emissions regulations. The company also strives to develop exciting new ideas. But testing innovative engine designs can run up a huge bill. Meanwhile, competitors might put their own new designs on the market. To reduce R&D costs, automakers use virtual engine models to computationally simulate and calibrate, or adjust, new designs so that only the best designs are built as prototypes for testing in the real world. Central to engine design is the combustion process, but studying the intricacies of combustion in a laboratory is difficult and significant computational resources are required to simulate it in a virtual environment. Combustion is critical to drivability and ensuring seamless operation on the road, but combustion also affects emissions production because emissions are chemical byproducts of combustion’s main ingredients: fuel, air, and heat. The combustion process in a car engine—from burning the first drop of fuel to emitting the last discharge of exhaust—can create many thousands of chemical species, including regulated emissions. However, sensors used in experimental testing allow researchers to track only a limited number of species over the combustion process. “You’re missing a lot of detail in the middle,” Grover said. Grover’s team wanted to increase the number of species to better understand the chemical reactions taking place during combustion, but in-house computational resources could not compute such complex chemical changes with high accuracy within a reasonable time frame. To test the limits of their in-house resources, Grover’s team increased the number of chemical species to 766 and planned to simulate combustion across a span of 280 crank angle degrees, which is a measure of engine-cycle progress. An entire engine cycle, with one combustion event, equals 720 crank angle degrees. To reduce computing time while increasing the complexity of the chemistry calculations, the GM team would need an extremely powerful computer and a new approach. Grover and the GM team turned to DOE for assistance. Through DOE’s Advanced Scientific Computing Research (ASCR) Leadership Computing Challenge (ALCC), a competitive peer-reviewed program, they successfully applied for and were awarded time on Titan during 2015 and 2016. A 27-petaflop Cray XK7 supercomputer with a hybrid CPU–GPU architecture, Titan is the nation’s most powerful computer for open scientific research. To make the most of the computing allocation, Grover’s team worked with Dean Edwards, Wael Elwasif, and Charles Finney at ORNL’s National Transportation Research Center to optimize combustion models for Titan’s architecture and add chemical species. They also partnered with Russell Whitesides at DOE’s Lawrence Livermore National Laboratory (LLNL). Whitesides is a developer of a chemical-kinetics solver called Zero-RK, which can use GPUs to accelerate computations. 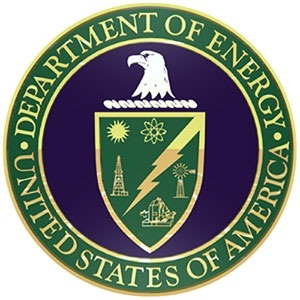 Both the ORNL and LLNL efforts are funded by DOE’s Vehicle Technologies Office (VTO). The team combined Zero-RK with the CONVERGE computational fluid dynamics (CFD) software that Grover uses in-house. CONVERGE is the product of a small-business CFD software company called Convergent Science. The GM team set out to accomplish three things: use Titan’s GPUs so they could increase the complexity of the chemistry in their combustion models, compare the results of Titan simulations with GM experimental data to measure accuracy, and identify other areas for improvement in the combustion model. “Their goal was to be able to better simulate what actually happens in the engine,” said Edwards, the ORNL principal investigator. ORNL’s goal was to help the GM team improve the accuracy of the combustion model, an exercise that could benefit other combustion research down the road. “The first step was to improve the emissions predictions by adding detail back into the simulation,” Edwards said. “And the bigger the recipe, the longer it takes the computer to solve it,” Finney said. This was also a computationally daunting step because chemistry does not happen in a vacuum. “On top of chemical kinetics, for our engine work, we have to model the movement of the piston, the movement of the valves, the spray injection, the turbulent flow—all of these things in addition to the chemistry,” Grover said. The combustion model also needed to accurately simulate the many different operating conditions created in the engine. To simulate combustion under realistic conditions, GM brought experimental data for about 600 operating conditions—points measuring the balance of engine load (a measure of work output from the engine) and engine speed (revolutions per minute) that mimic realistic driving conditions in which a driver is braking, accelerating, driving uphill or downhill, idling in traffic, and more. The team simulated a baseline model of 50 chemical species that matched what GM routinely computed in-house, then added 94 chemical species for a total of 144. These encouraging results led the team to increase the number of chemical species to 766. What had taken the team over 2 weeks to do in-house—modeling 766 species across 150 crank angle degrees—was completed in 5 days on Titan. In addition, the team was able to complete the calculations over the desired 280 crank angle degrees, something that wasn’t possible using in-house resources. “We gathered a lot of success here,” Grover said. With the first objective met—to see if they could increase simulation detail within a manageable compute time by using Titan’s GPUs—they moved on to compare accuracy against the experimental data. They measured emissions including nitrogen oxides, carbon monoxide, soot, and unburned hydrocarbons (fuel that did not burn completely). Compared with the baseline Titan simulation, the refined Titan simulation with 766 species improved nitrogen oxide predictions by 10–20 percent. “That was one of our objectives: Can we model bigger chemistry and learn anything? Yes, we can,” Grover said, noting that the team saw some improvements for soot predictions as well but still struggled with increasing predictive accuracy for carbon monoxide and unburned hydrocarbon emissions. “That’s not a bad result because we were able to see that maybe there’s something we’re missing other than chemistry,” Grover said. determine what that something missing might be, Grover and the GM team successfully competed for a new ALCC award. The successful partnership with researchers at ORNL and LLNL and the DOE VTO and ASCR programs will continue to utilize Titan’s GPUs to study the effect of heat transfer and combustion chamber wall temperatures on the formation and oxidation of emissions species. Another result was the demonstration of the GPUs’ ability to solve new problems. The parallelism boosted by Titan’s GPUs enabled the throughput necessary to calculate hundreds of chemical species across hundreds of operating points. “Applying GPUs for computer-aided engineering could open up another benefit,” Grover said. If GPUs can help reduce design time, that could boost business.